Pregnancy is an experience like no other in a woman’s life. It brings challenges and changes, but simultaneously brings joy, excitement and wonder at the changes that are happening within your body. No one deserves to devote time and energy to their well-being and happiness more than a woman who is pregnant. Pregnancy is indeed a special time and it is vital that a woman takes excellent care of herself and her unborn child. So, what are some of the best ways that a woman’s soul can be nurtured during pregnancy? A little retail therapy can lift the spirits of any woman and this is especially so during the months of pregnancy. Expectant women need not hide themselves under shapeless, ugly and completely unfashionable garments; instead, the extensive range of maternity wear now available can make a woman feel as stylish and chic as ever. Key pieces, including: maxi dresses, loose fitting shirts, jeans and tailored pants can be purchased and, for those women who love to swim or be around water, attractive maternity swimwear is also available. 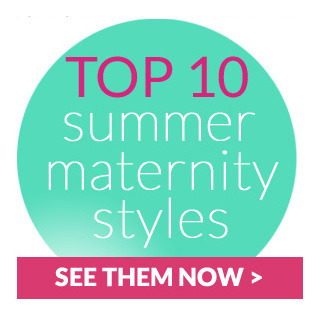 Looking and feeling good is extremely important during pregnancy and for many women, there is nothing that nurtures the soul more than the addition of stylish pieces to the maternity wardrobe. Many a mother will recommend that a pregnant woman puts her feet up and rests and relax as much as she can. Although many women continue to work until late in their pregnancy, there is no denying that the hard work, sleep deprivation and few opportunities for taking it easy really begin when the baby arrives. Spend time doing things that you enjoy and things that relax you. Sleep as much as possible, read books that you love (some women love to read books about pregnancy, childbirth and parenting while others indulge in texts that are completely removed from this) and engage in enjoyable activities. The arrival of a baby changes the dynamics of every household. Relationships also change and so the time prior to your baby’s arrival can be an excellent opportunity to connect and enjoy time with your partner. A new baby in the home will usually mean that you have fewer opportunities to do some of the things that you have always done and enjoyed and, perhaps, taken for granted. You may like to go out to lovely restaurants, go to the theatre, go to the movies and even get away for a weekend or longer. Having a baby does not mean that you cannot do these things, but it often does lead to parents having less opportunity, time and energy to do so, particularly in the early months of the baby’s life. Although nurturing your soul may perhaps be focused on you, a number of women find it fulfilling and enjoyable to thoroughly prepare for their child’s birth. Some mothers-to-be (and fathers-to-be) take great comfort and find it fun to set up the nursery, shop for baby items, wash the baby’s clothes and bedding and, of course, choose a name for the baby (or at least develop a shortlist). Regardless of how you do it, it is important to spend time and energy on activities that nurture you soul prior to the most incredible life changing moment of your baby’s arrival. Devote time and energy to the things that make you feel good and well prepared to meet your baby.